Africa Past and Present is a podcast about history, culture, and politics in Africa and the diaspora. The show features interviews with eminent scholars and persons, commentary on current events, and debates of relevance to Africans at home and abroad. 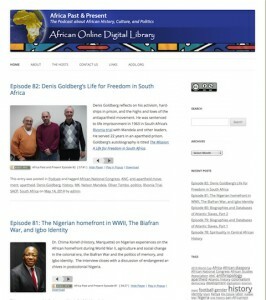 Launched in 2008, Africa Past and Present is hosted by MSU historians Peter Alegi and Peter Limb and produced by MATRIX.